This beautiful 4 bedroom 3 bath home in the sugarloaf mountain is ready for your horses! 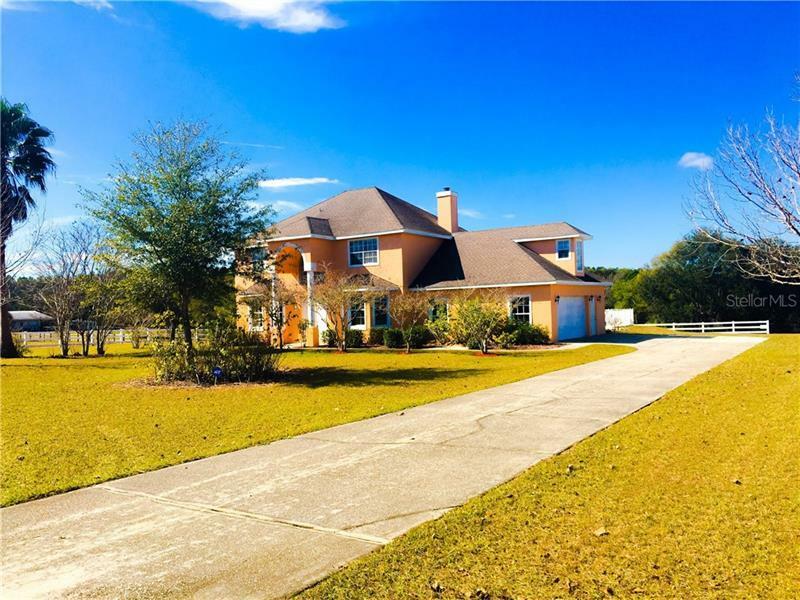 This gated 6.25 acres is fenced and crossed fenced directly on jones lake! Brand new flooring throughout, brand new kitchen, large screened back porch leading to the over sized pool. The barn has horse stables and a tack room and also a washing stall. There is also a large office down stairs that can easily be converted into a 5th bedroom. Just a 5 minute drive from the turn pike exchange. You can have your cake and eat it too: You can have your country lifestyle, and be 30 minutes from Orlando and the attractions. All measurements are approximate.